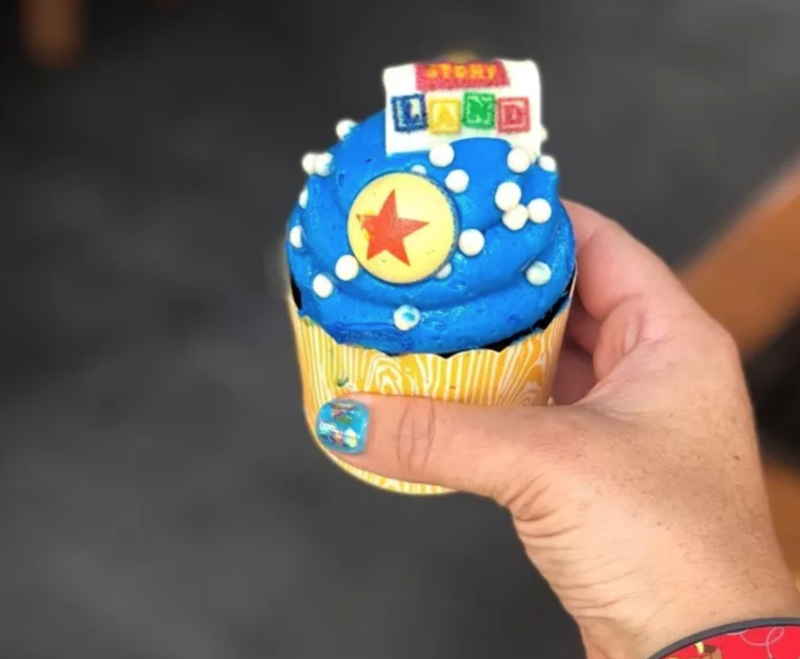 The brand new Toy Story Land in Walt Disney World’s Hollywood Studios opened June 30th. Here’s everything to see! 1. 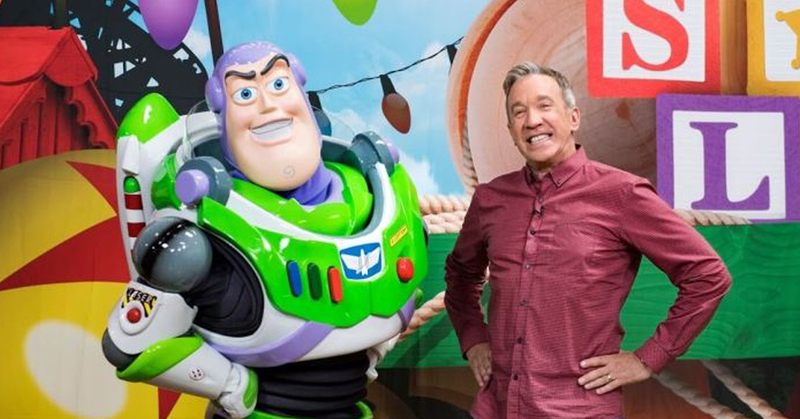 First thing to know is that this is Andy’s backyard, so everything is created as if Andy himself was playing with his toys and building a land. 2. As you get deeper into the area, everything else gets bigger. 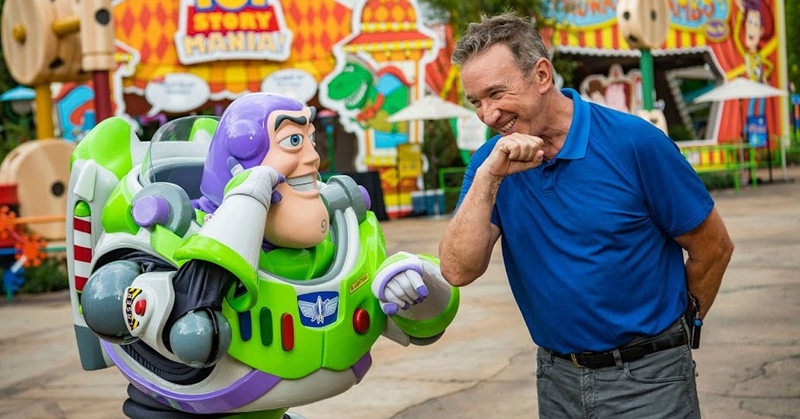 The perspective is made to make you believe you’re a toy and you’re small. 3. 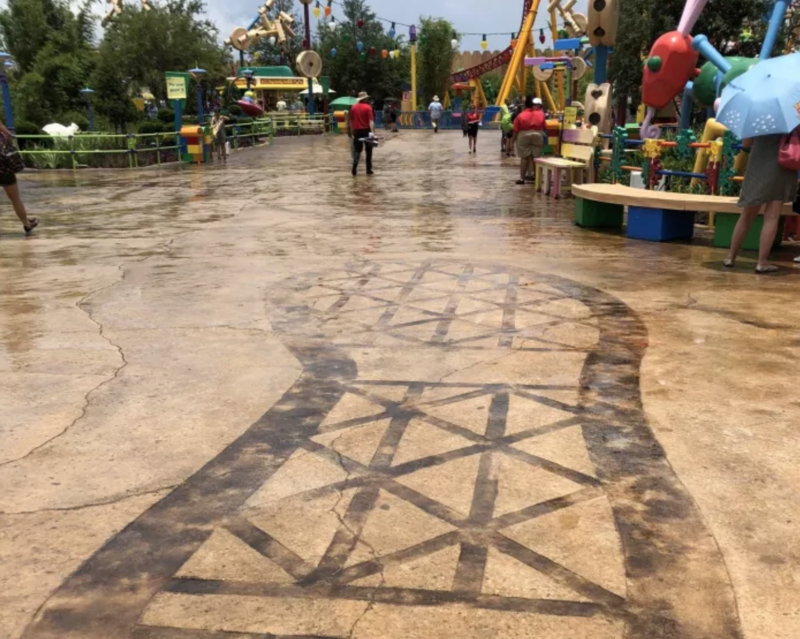 When you enter the park, you’ll notice Andy’s footprints on the ground. 4. 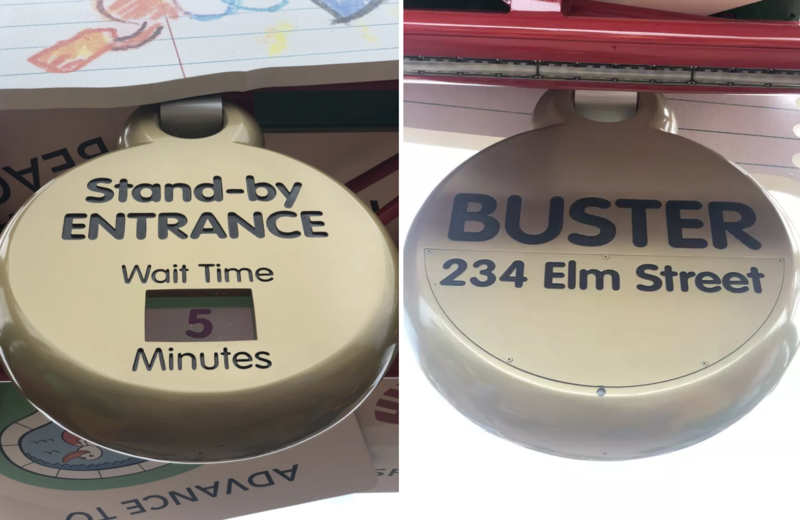 At the Slinky Dog ride, there’s a dog tag as the stand-by entrance. On the back of it is Buster’s name and Andy’s home address. 5. 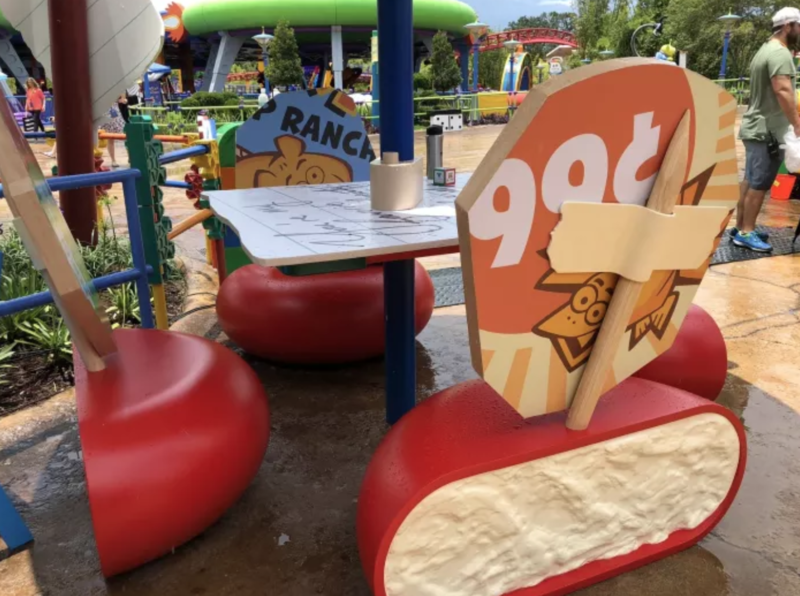 Also on Slinky Dog is a price tag for Rex at Al’s Toy Barn. 7. 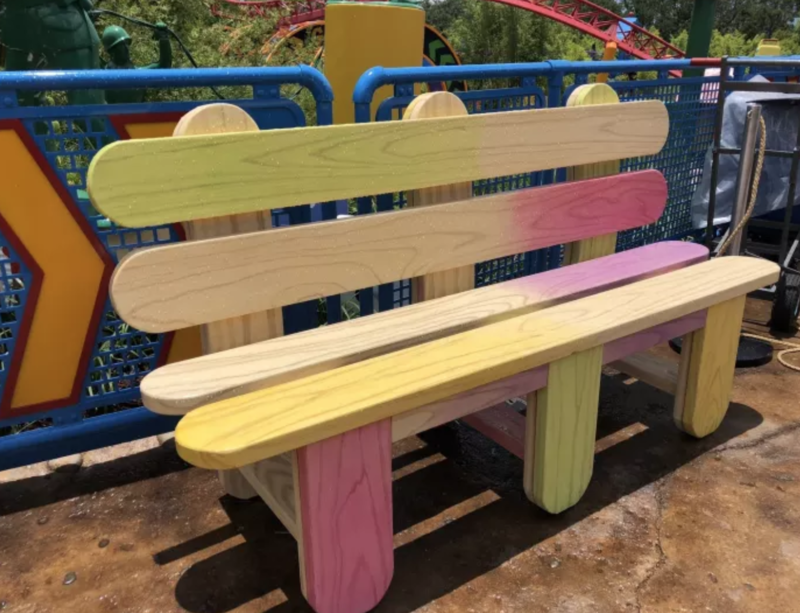 You’ll also notice little details, like this bench made of popsicle sticks. 8. 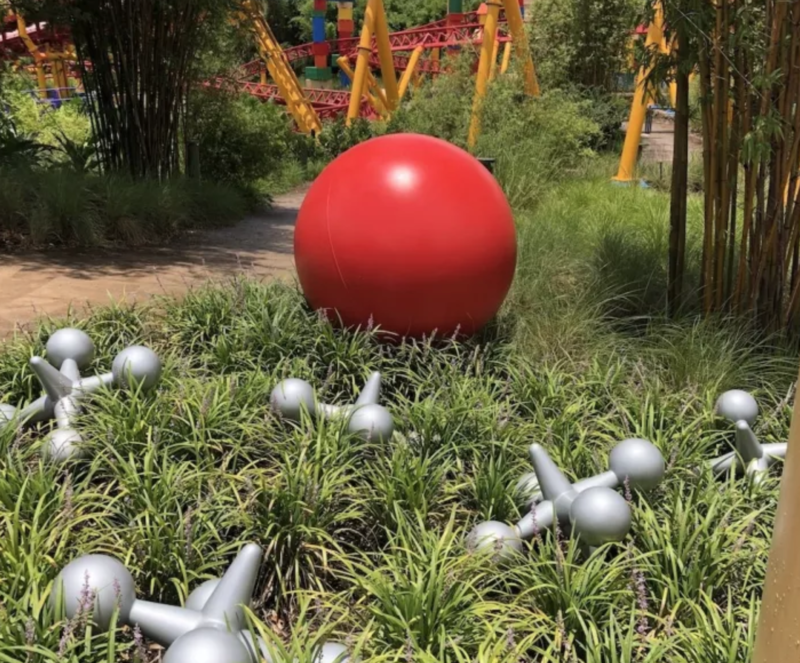 You will also see jacks on the grass. 9. 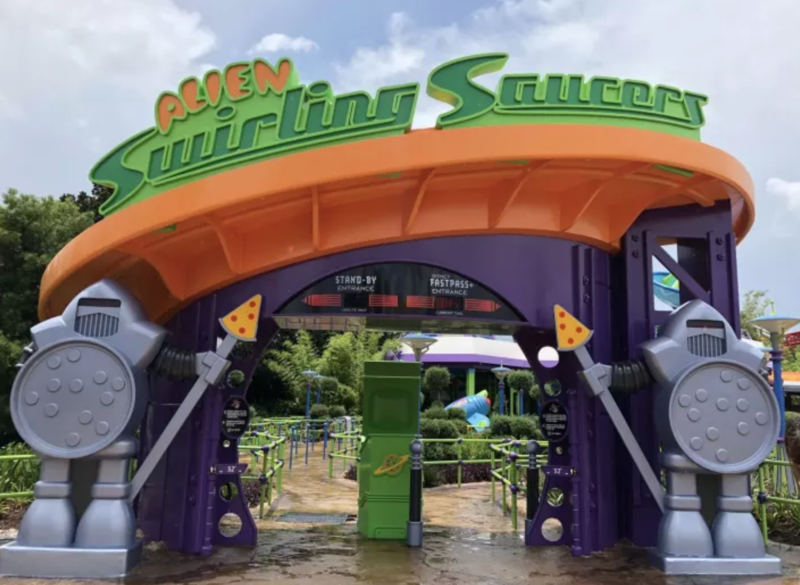 At Alien Swirling Saucers, there’s two guards holding pizzas as shields, and weapons of slices. 10. At Woody’s Lunchbox, there’s tables with Babybel cheese wedges. You’ll also see the nutritional info and other details on the umbrellas. 11. 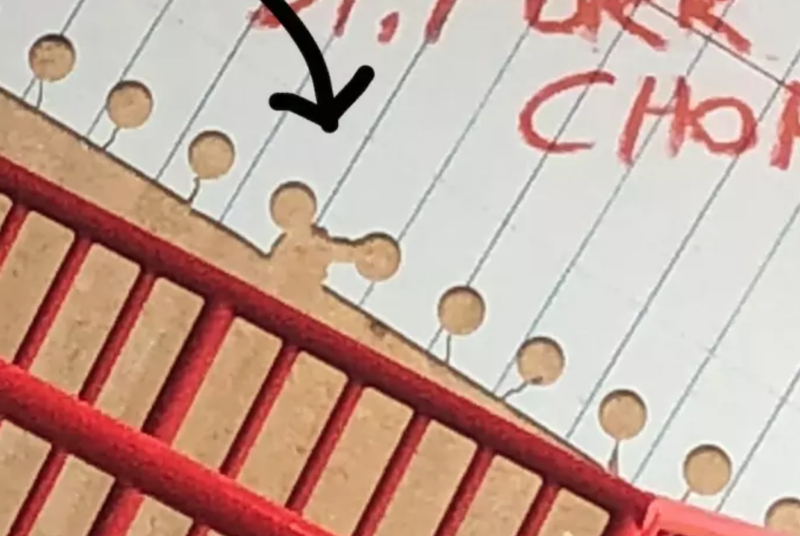 Right before you board Slinky Dog, you can see hidden Mickey ears in the paper holes. 12. 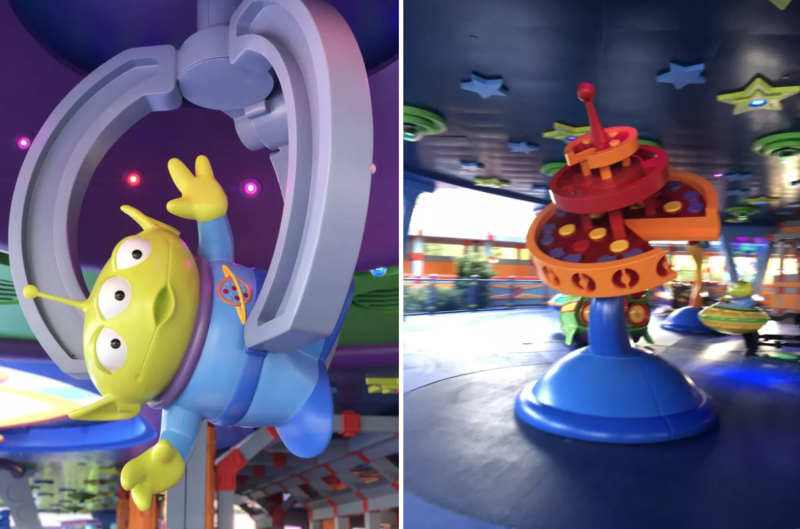 Even though there’s not an actual Pizza Planet anymore in Hollywood Studios, there are some references to it on the new Alien ride. 13. 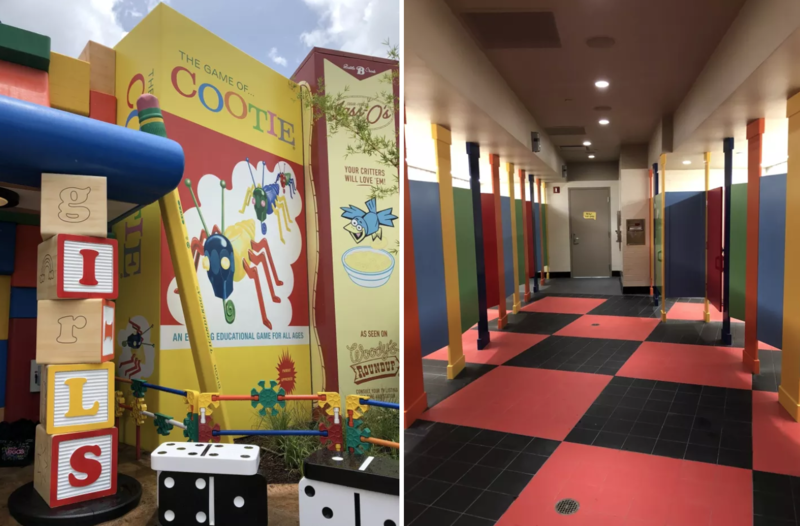 They built an entire new entrance to Toy Story Mania so you now access it in Toy Story land. 14. 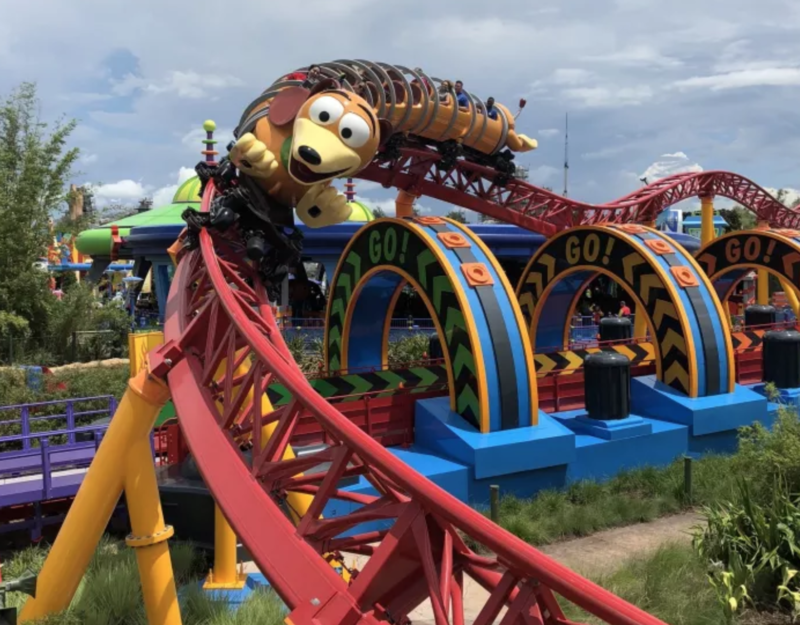 On Slinky Dog, there’s instructions to how Slinky works. 15. 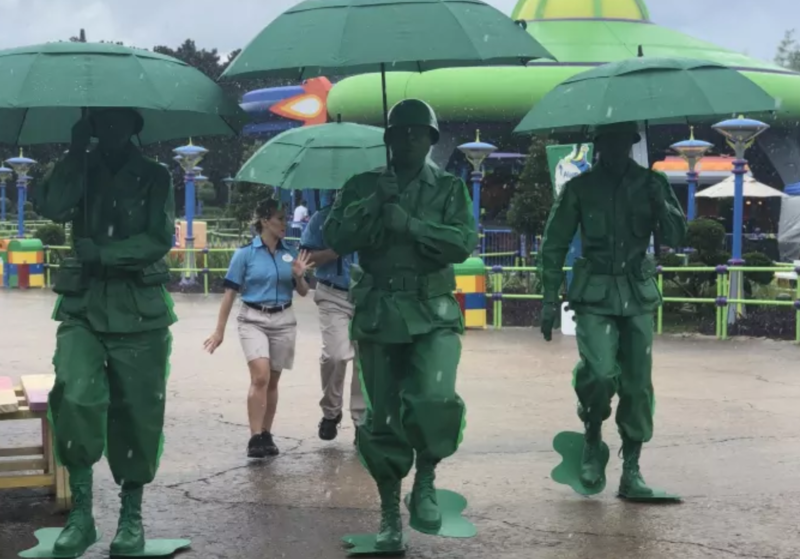 And finally, the Army Men walk around the land and even teach kids (and adults) how to salute and make a pledge. 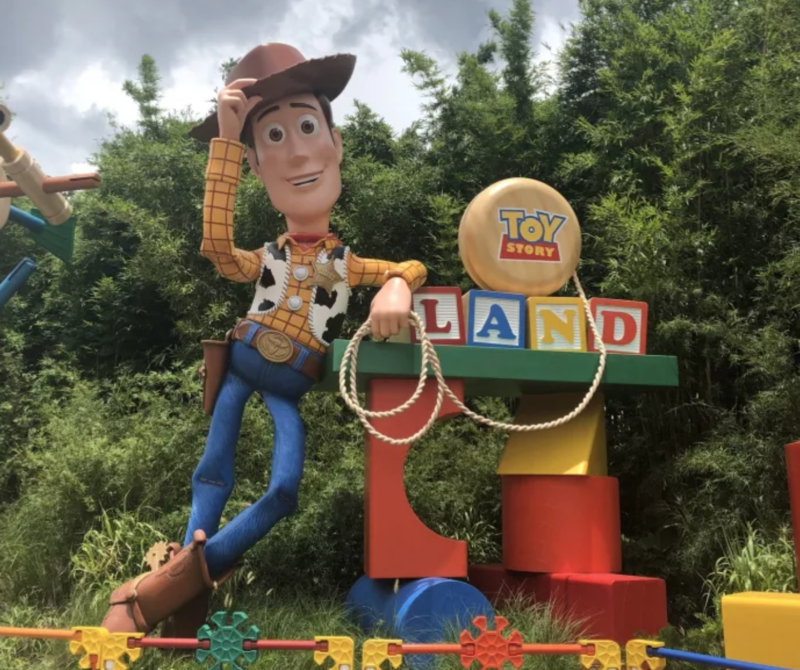 Toy Story Land is open now!